The School Placement Letter Arrived Today! Well, after rolling out of bed this morning, I checked my email and was met with a message from Auxiliares CED with the subject line “Su puesto como auxiliar de conversación en Andalucía”—which means “Your placement as language assistant in Andalucía.” Hooray! Two weeks and six days after receiving my regional placement, I now know my specific school placement in the region. Come to find out, I’ll be teaching in an elementary school called CEIP Nuestra Señora de la Fuensanta, which is in the city of Villanueva del Arzobispo and the province of Jaén. Before I go on, here’s a guide on how to pronounce all these places, since I’m going to be talking about them a lot on this blog. The Virgin of the Holy Fountain is also the patron of Cuatro Villas, comarca formed by the municipalities of Villanueva del Arzobispo, Villacarrillo, Iznatoraf, and Sorihuela del Guadalimar. 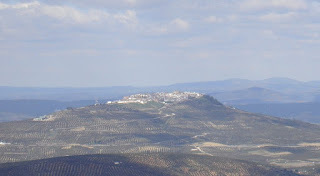 Her shrine is found in the first of the cited towns of the province of Jaén. According to the legend, the Moorish king of Iznatoraf ordered his wife’s hands to be cut off and her eyes gouged out after he found out that she was helping the Christians, and he abandoned her in a place known as La Moratilla. There, the mutilated woman heard the gurgling of a fountain and a voice that asked her to put her stumps [gruesome word choice, I know] in the water and wash out her eye sockets. In this way she got her hands and eyes back and saw an image of the Most Holy Virgin. Because of this, since the ninth century there has been a shrine in honor of Our Lady of the Holy Fountain, Patron of the Four Towns, and Queen of the Olive Grove, whose pontifical canonical coronation took place on September 29, 1956. Her festival is celebrated on September 8 with a pilgrimage that ends at the shrine’s surroundings. So there’s that. The virgin appears opposite a red lion on the city’s coat of arms and flag. 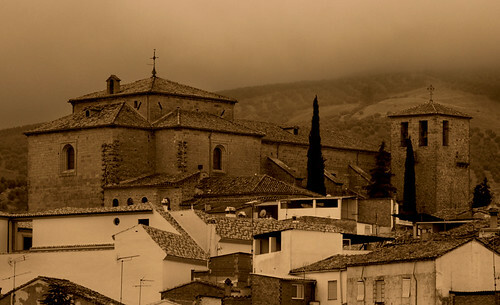 Under Moorish rule, Villanueva was known as al-Buxarra, and for centuries, the village was known in Spanish as La Moraleja. 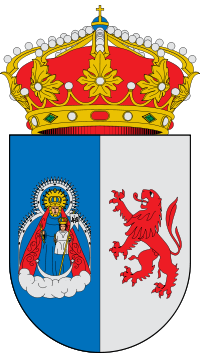 But in 1396, the Archbishop of Toledo, Pedro Tenorio, granted it a título de villa (town status), renaming it, essentially, the archbishop’s new town. 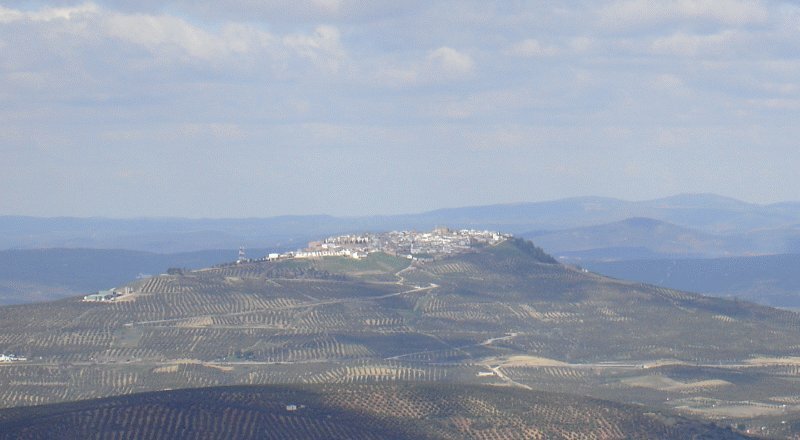 I really don’t know much at all about the town except that it’s in the heart of olive oil country (Google Maps is showing a bajillion olive groves outside the city limits) and that there’s a small bullring to the south. A little under 9,000 people live there, so it’s about the same size as my college town, Arkadelphia. Oh, and THE Miguel de Cervantes (of Don Quixote-writing fame) lived here for a time. Just throwing that out there. Still, if I can manage some kind of a bus ride or carpool, I’d like to live in nearby Úbeda, three times as big and half an hour away. 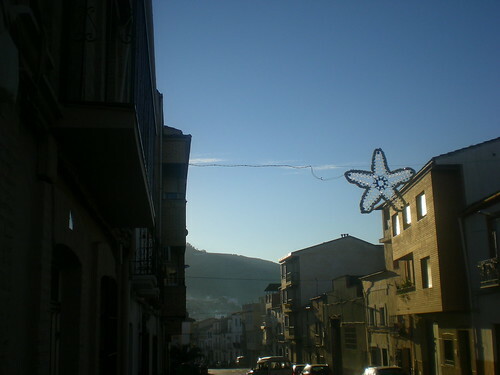 When I arrive in September, I’m gonna have to stay in a hostel in that town anyway. The bus tickets to and from Úbeda and Villanueva are about €7 round-trip, which I guess isn’t too bad for a total of 80km. The thing is, it’s a tourist bus, so I feel like it would be a bad deal for commuting. So it’s tied. But, when I was anxiously awaiting any word from Spain back in June, I told myself I’d accept anything offered to me...even if it was super rural. And here I am!!! I’m just grateful to have a job in Spain for the next year or two.